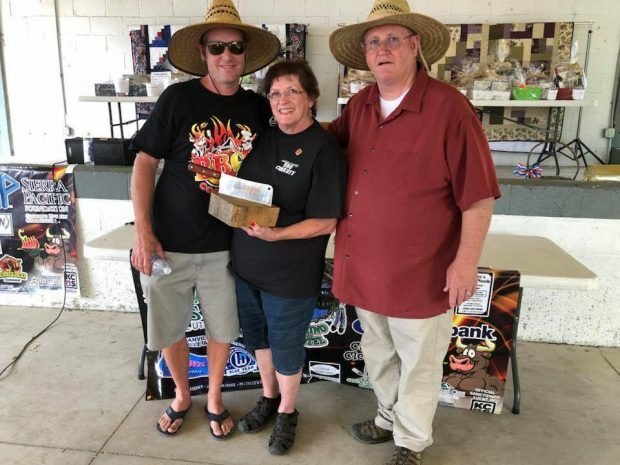 The 4th annual Lassen County Barbecue Cook-Off was a tremendous success again this year with more than 1,000 people making their way to the fairgrounds to taste some great barbecue and to help raise funds for Lassen Senior Services. 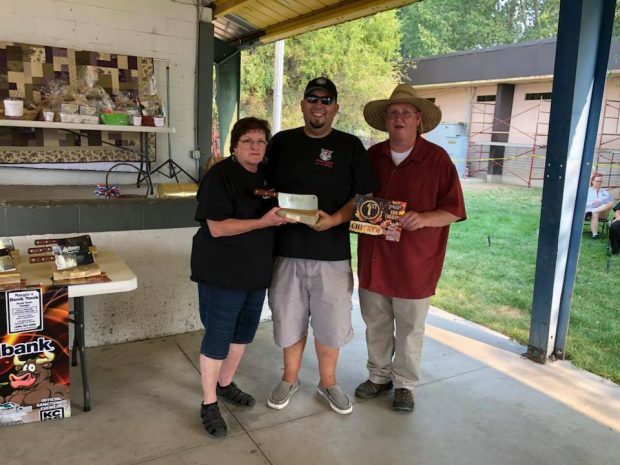 According to organizers the Barbecue featured 27 teams, 35 judges and a host of sponsors and volunteers who made the day possible. 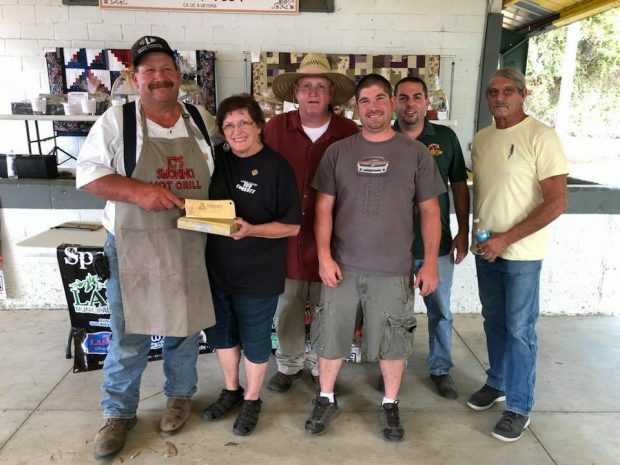 This year’s Grand Champion was Rookie of the year contender Steve Biggs of Bull Market BBQ. The Reserve Grand Champion was Jason Springer of Old Town Franklin BBQ. 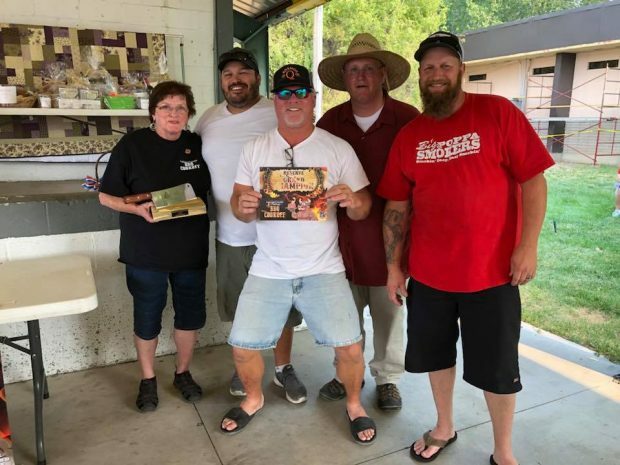 The Chicken Champion was Brian Gutierrez of Pirates of the Pig BBQ, who also took home the championship trophy for ribs. 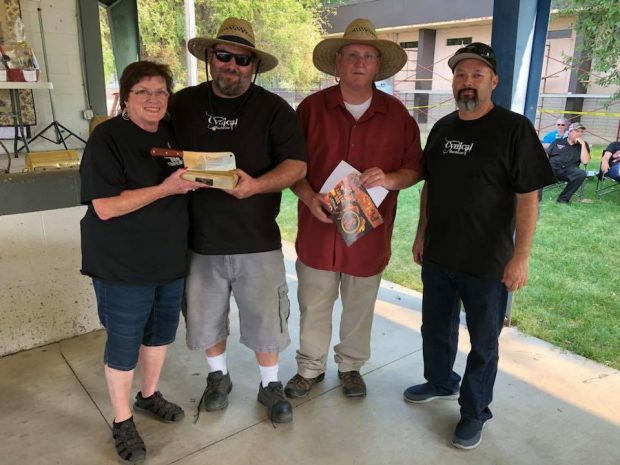 The Pork Champion was Dennis Daniel of The California Grill Billies. Craig Yeszin of Cynical BBQ took first in the Brisket category. Joe Camino, of JC Smoking Hot Grill, took home the People’s Choice Award. 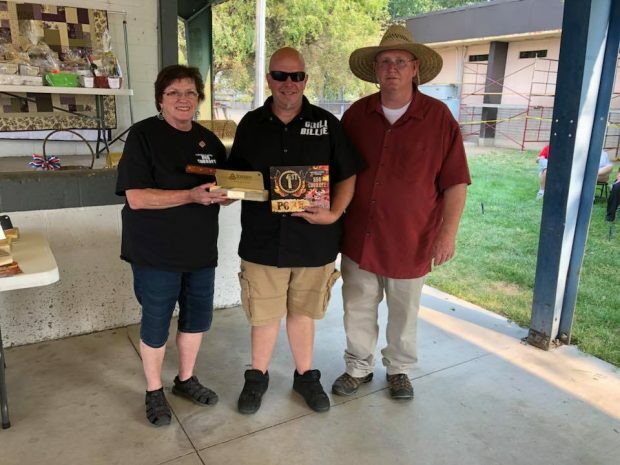 Jamie Welch of Sierra Smoke Pit BBQ was named Lassen County Barbecue Pitmaster. 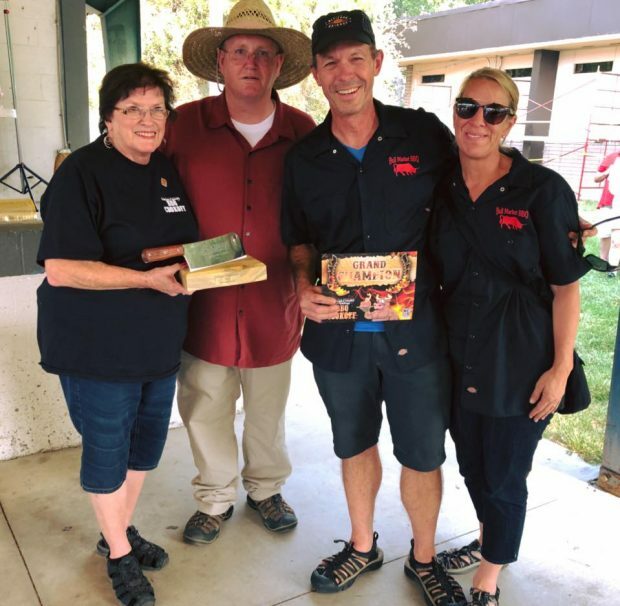 Penny Artz and Alan Dowdy from Lassen Senior Services presented awards at the conclusion of the barbecue competition. Posted by Jeremy on . Filed under Features, Local & Regional News. You can follow any responses to this entry through the RSS 2.0. Both comments and pings are currently closed.